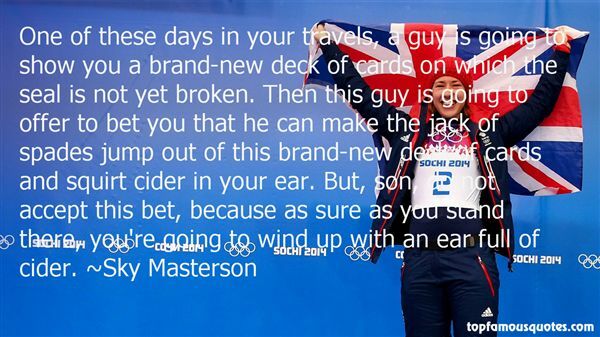 Reading and share top 2 Sky Masterson famous quotes and sayings. 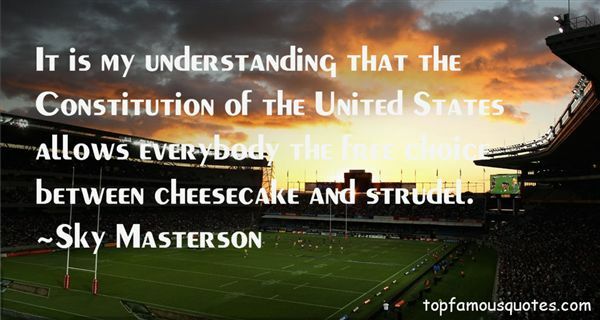 Browse top 2 most favorite famous quotes and sayings by Sky Masterson. I've found you can ignore half of what Dox tells you and not miss much-except for maybe they occasional complaint that you're spending too much."